With Mother’s Day creeping up, sons, daughters, and grandchildren alike struggle to find that perfect gift. Head over to URBANfusion in Skippack, PA, and your problem will be solved. For over 15 years, we’ve been the community’s favorite lifestyle and jewelry boutique in Skippack, PA, and that is no different this coming holiday. In addition to being known as a PANDORA certified retailer, we also sell plenty of home and bath products. Here are four, stand-out gift ideas. This gift set is perfect for any mom. 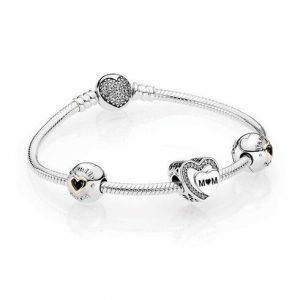 The silver bracelet has three unique charms (four in total) all of which feature a heart motif to express your love for that special woman in your life. It comes in an elegant, pink case. If your mother already has a bracelet, we also have many Mother’s Day themed charms by PANDORA to add to her current collection. Every mom deserves time to relax. Help her out with this kit containing a combination of our favorites. It comes with grapefruit and blood orange lotion, violette fig and black currant bubbling milk bath, violette fig and currant fine salt scrub, and cucumber and honey nourishing lip repair. These will help your mom soothe, hydrate, and refresh. This bubble bath – handcreme combination will not only allow your mom to unwind but will have her feeling luxurious at the same time. This product is made with only the finest ingredients, including Italian bergamot, cinnamon, jasmine, vanilla bean, and more. 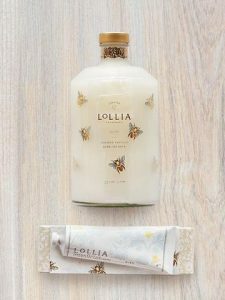 The bubble bath is housed in a gorgeous glass bottle garnished with golden bees. 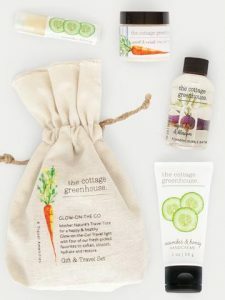 This gift set is an ideal travel tote for that mom on the go. 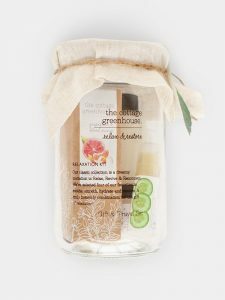 It includes cucumber and honey butter handcreme, sugar beet and blossom foaming bubble bath, carrot and neroli fine salt scrub, and cucumber and honey nourishing lip repair. These freshly picked favorites soften, hydrate and restore. Those are just some ideas out of our huge selection so browse the rest of our catalog online for even more gifts. You can give us a call at 610-572-1326 for more information. Otherwise, just stop on by our URBANfusion location to browse all of our available jewelry in Skippack, PA.